The leak prompted some hilarious and insightful responses from political pundits. “That @Wikileaks thinks publishing @Stratfor emails matters is a big compliment for Stratfor, biggest sign yet that Wikileaks is clueless,” tweeted Dan Drezner, and then he wrote a Stratfor/Wikileaks critique. “Statfor is on the mild end of the scary shadow CIA/stodgy think tank spectrum,” observed Dan Murphy for The Christian Science Monitor. “A friend who works in intelligence once joked that Stratfor is just The Economist a week later and several hundred times more expensive,” noted The Atlantic‘s Max Fisher. 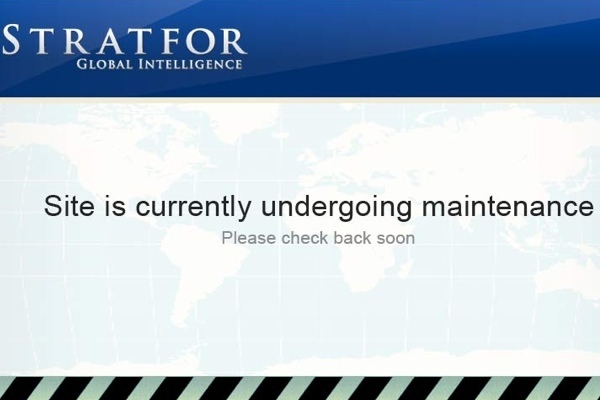 I briefly subscribed to Stratfor so am probably on the leaked email/credit card list. 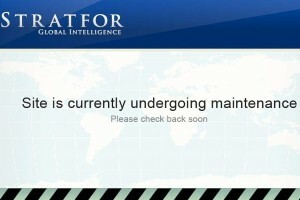 I found many of Stratfor’s weekly reports to inflate threats. I got Friedman’s first book America’s Secret War during the book buy-up for my PhD but found it to be sensationalistic. Several Stratfor analysts contacted me whilst I edited the alternative news site Disinformation and claimed to be ex-psychological operations people. I seriously considered developing a private intelligence capability on two occasions. The first time was at Disinformation in 2000, I pitched a subscriber service to publisher Gary Baddeley that would do for the nascent conspiracy industry what Nikki Finke’s Deadline Hollywood does for the United States entertainment industry. I also had in mind the subscriber services that do 5-8 page summaries of business books. Baddeley wasn’t interested and the nascent conspiracy industry evaporated after the September 11 attacks. During my postgraduate studies I studied under David Wright-Neville, Andrew Newman and Philip Gregory, and wrote essays on Ulrich Beck‘s world risk society (PDF); Rupert Murdoch’s use of game theory (PDF); considered the developments circa 2002 for news publishers (PDF); explored the collapse of the hedge fund Long-Term Capital Management (PDF); outlined the post-September 11 changes to intelligence services (PDF); and evaluated DARPA’s Terrorism Information Awareness system (PDF). The second time was at the Smart Internet Technology CRC (SITCRC): I scoped out a project for Canberra firm The Distillery and looked at the major international and Australian firms that provided market intelligence on information technology trends. I proposed a market intelligence capability for the Smart Services CRC successful bid that would use strategic foresight and strategic intelligence methods. However, this remained scoped out work only for the unfinished Disruptive Internet project, although I did trial the methods in a public blog for a month. I left the CRC in March 2007 due to infra-team conflict. During preparation for my PhD studies I considered several topics. One was on design patterns and counter-terrorism. A second idea was ‘The Markets for Political Risk: An Analytic View’ modelled on the research of Deborah Avant (The Market For Force) and Andrew Lo (Hedge Funds: An Analytic Perspective). I outlined the historical precursors to Stratfor (RAND, Royal Dutch/Shell, and Kissinger & Associates); found six market segments; considered risk arbitrage, securitisation and trading applications; and began to develop contagion/rumour models. I noted that Friedman “may cultivate ’boutique mystique’ as reputational capital.” In 2009, I began reading the hedge fund and trading literature, and decided it was easier to develop a personal capability for market arbitrage and trading (reflected on during an October 2011 visit to Tokyo’s Stock Exchange). In March 2011, I began a part-time PhD on the strategic culture debate and counter-terrorism studies (2011 initial proposal PDF). Stratfor’s chief executive officer George Friedman is scheduled to speak at SXSW Interactive 2012 in Austin. I’ll definitely be attending.